Ajab Gazabb Love is a 2012 Indian Bollywood comedy, romance film released on Oct 26, 2012. The film is directed by Sanjay Gadhvi, produced by Vashu Bhagnani under banner named Puja Entertainment (India) Ltd.. The concept of the movie is very interesting yet different. 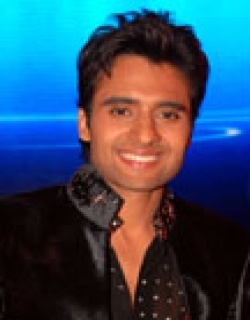 The story is about Rajveer (Jackky Bhagnani), who is a hard-working rich youngster of India. His father Yashwardhan Grewal (Drashan Jariwala) has a well-established firm Grewal motors Corporation. Rajveer is the only son to his father so he now owns his dad’s company Grewal motors corporation. Soon after this, Rajveer comes in contact with Madhuri (Nidhi Subbaiah) and falls in love with her. Later, Rajveer comes to know that Madhuri hate guys from rich families. He has sympathy for poor people. So, Rajveer then acts accordingly and tries to seek her sympathy as a poor guy. Madhuri actually works for an NGO firm and is the self-righteous girl. Rajveer who plans to gain sympathy of Madhuri, shifts to a poor house and the entire family acts accordingly. Rajveer’s mom Rashi Grewal (Kiron Kher) acts as a blind person in the movie. Rajveer’s brother turns into a drunken guy, his sister-in-law becomes maid and father becomes a banana vendor. The entire fraud is known when Arjun Rampal as the double character of Karan and Arjun come to know of all the fraud of this family. Check out this page for more updates on Ajab Gazabb Love. The good thing about remaking a South Indian hit is that you get everything ready on a platter. Including an inkling of how the remake version might fare. AJAB GAZABB LOVE, direct..
Entertainment is the reason people make and watch films. Of course the average film aficionado will counter with Citizen Kane and the repeated reference to the word ‘art’. But..
A fun-n-comic family film with no hint of vulgarity, skin show or double meaning dialogues. Hard to find, isn't it? However 'Ajab Gazabb Love' makes that possible, what with it tu..
For most of the first half, Ajab Gazabb is a drab advert for DC's Avanti, a vehicle in the supercar category rubbing shoulders (strictly in the looks department) with the Lamborgh.. This film is all about a bunch of people going bananas, yet, it doesn’t leave you in splits. But if you care for a few giggles, go watch it. This page provides latest and updated information about Ajab Gazabb Love (2012) movie which released on Oct 26, 2012. Ajab Gazabb Love (2012) is directed by , produced by , starring .We have also provided 7 trailers and videos, 4 photos, 93 user reviews, and 16 critic reviews.Ajab Gazabb Love (2012) has received 2.6 rating from user reviews.The movie has received 1.9 rating from critic reviews. The overall rating of Ajab Gazabb Love (2012) is 42 and movie is 2.1.You can review, like, dislike this movie and also can add to favorites. You can also find information on showtimes, CDs, DVDs, online rental, online free watching.